In order to understand meaning in short fiction, you may also want to look back at “What is a Story, as Opposed to a Vignette?” whereby I attempt to define a short story, and “The Intersection of Pity & Fear: A Look at Endings in Short Fiction” where part of what I attempt to unravel is the circular nature of a short story and the way that gaps and silences lead to catharsis. Perhaps you’ve heard the term resonance before in a workshop. Resonance is what we’re after. Resonance, loosely defined, means to resound, to linger, to last. When a story resonates, it lingers in our minds. We feel as if the curtain shrouding the mysteries of human existence has been pulled back, that we’ve been allowed a peek behind that curtain. Some new insight into what it means to be human has been distilled for us in the story. There has been a revelation of some kind, or if not a revelation, then a deepening, an enfolding of the mysteries of human experience, as Charles Baxter says. We feel different. Something new blooms inside our hearts and minds. Fine, but how do we add meaning to our stories? Before I talk about how meaning works in fiction, let me talk about how it does not work. As high school and undergrad students, we expend an enormous amount of time in English lit classes poring over stories and poems looking for themes and symbols. Uncovering themes and symbols in lit classes is fun and one reason I became a writer in the first place. Perhaps this is true for you, too. I dreamed of a day when I could write such deeply meaningful works myself. Even so, by the time we begin taking creative writing classes, we have certain notions about themes and symbols deeply ingrained in our minds. We may, and this is common, I think, believe that themes and symbols are deliberately added to stories, very consciously layered in by some sort of short story recipe. Then when we open a book on craft, when we encounter the five elements of fiction writing, we see theme listed there again. And our reaction may go something like this: Oh, boy. I love theme. I can’t wait to learn how-to DO theme. And with all of the other elements of fiction, we do essentially learn how-to do them, as it were. We learn how-to build characters through various modes of characterization. We learn how-to create settings and build worlds. We learn how-to choose and work whichever POV our story needs. We learn how-to create tension and build conflict that grows into a plot of some kind. Then when we come to the chapter on theme, we may have writing instructors who quickly gloss over that material and jump to one of the other elements that is easier for new writers to digest. As an English lit major, this may disappoint you. After all, what you’ve wanted most was to learn how-to create that magic that only theme and symbolism can create. And now you have an instructor who barely addresses theme at all. Lacking understanding and instruction, we may feel the need to insert meaning into our stories in our own unschooled ways. Our instincts sometimes lead us to believe that meaning derives from passion or our deep feelings — and they’re not far off. Our instincts, as I’ll discuss later, are to be trusted. But without an understanding of how meaning works in fiction, we may attempt to insert feeling into our writing in ways that are too abstract to be deeply felt by our readers. We put lots of emotion into our prose, but its effects are lost on others. Or, if we don’t approach it in that manner, we may attempt to write stories that center on certain themes we feel are important. We will write a story about man versus nature, perhaps, something like Stephen Crane’s “The Open Boat.” Our story will pit a man in some similar perilous situation whereby we can show that nature is indifferent to our sufferings, and so on. Our story will involve a wild animal of some kind and the animal will represent that part of ourselves that is wild and beastly. This approach may seem to work for a while, but sooner or later a writer will realize it is lifeless and derivative because, unlike the deeply felt story, this kind of story is practically devoid of any deep meaning or personal attachment on the writer’s part. A third type of story may emerge without a deep understanding of how theme works in fiction, and this is one whereby symbols are thrown around helter-skelter or else hammered in, wedged it, fitted in in whatever manner possible. This writer may feel that if the story contains the right number or kind of symbols (or mythical creatures or tropes) the story may then proceed to follow a standard plot and meaning will arise from the very nature of all of these symbols and archetypal figures. All three of these attempts are noble efforts. I don’t fault new writers. We are all doing our best to learn. Nor do I fault writing instructors who either don’t know how to present theme to new writers or for various reasons choose to wait until writers have more experience. There are a million ways to learn. Then where does meaning come from? The simplest answer: Us, our own values. Our most deeply held beliefs inform what kinds of stories we tell. Whether we realize it or not, every story we write reveals our understanding of the world. In a chapter of Bird by Bird titled “The Moral Point of View,” Anne Lamott tells us that our only aim as writers is to tell the truth, that is– our truth. Flannery O’Connor talks about the “Habit of Art.” The Habit of Art, she says, is a quality or virtue of mind. Our aim is to write something of value in and of itself and that works in itself. The basis of art, she says, is truth, and the person who aims after art in his work aims after truth. This is accomplished when the whole personality takes part, conscious and unconscious. The habits of art must become deeply rooted and cultivated by practice. Pulitzer Prize-winning short-story writer and novelist Robert Olen Butler has written a book called From Where You Dream. Whether you are new to writing or not, I encourage you to read all three of the books I’m referring to here. In his book, Butler talks about what he calls the “white-hot center.” The white-hot center is that place from which we dream, our unconscious. Our unconscious minds know better than we do how to tell stories. Consider how our sleeping brains can frighten, delight, and surprise us when we dream. Our brains, our intuitive or dreaming minds, you might call them, surprise our literal minds, those parts of our brains that do the “thinking.” Our literal minds are good for certain other aspects of writing, but when it comes to telling stories, we should learn to trust our intuitive minds, our white-hot centers. In Mystery and Manners, Flannery O’Connor (like Robert Olen Butler) talks a lot about writing from the senses. Fiction operates through the senses, and I think one reason that people find it so difficult to write stories is that they forget how much time and patience is required to convince through the senses. No reader who doesn’t actually experience, who isn’t made to feel, the story is going to believe anything the fiction writer merely tells him. The first and most obvious characteristic of fiction is that it deals with reality through what can be seen, heard, smelt, tasted, and touched. In yet another part of the book, she discusses one of her own stories, “Good Country People,” and how a character’s wooden leg begins to accumulate meaning and ultimately comes to symbolically represent the wooden part of her character’s soul. This isn’t something O’Connor set out to do. She simply wrote a story and added the concrete details that were necessary to make the story work on a literal level. So here are my final thoughts. If you will recall from my previous essay “The Intersection of Pity & Fear: A Look at Endings in Short Fiction,” Charles Baxter discusses meaning as a series of clues but not a solution that forces uncertainty on a reader, “an enfolding of mystery instead of a revelation.” Catherine Brady helps us understand that the circular logic of a story requires that at the heart of a story there is some elusive question which is left open and also that conflict is felt in the reader when a story works toward a resolution of action, but at the same time resists a neat summary of any meaning. This creates a cathartic release, a feeling of resonance. When you combine this with what O’Connor says about the tendency of certain concrete details to accumulate meaning in stories and add to that what she and others say in regard to the manner in which our intuitive minds will select these details for us in such a way that our most deeply held values will organically begin to emerge in our stories without our having to “think” about them too much, meaning becomes easier to understand. Meaning is not something we DO, at least not with our literal minds. It is something we discover after our intuitive minds have done it for us. Our job is simply to adhere to the first rule of fiction: write using concrete details that evoke the senses. Allow these details to accumulate meaning on their own. Allow the actions our characters take to reveal whatever mystery they will reveal about the human condition. Move our stories forward toward some resolution of this action without summarizing whatever themes may organically begin to present themselves. The meaning that readers take away from stories is subjective to their own life experiences. When our stories are written in the way I’ve tried to explain here, meaning is open to interpretation. As Anne Lamott reminds us, a story is not a vehicle for teaching a moral or delivering a message. Still, if our stories are successful, our most deeply held values will intersect with those values held by our readers to create cathartic experiences that are wholly unique, personal, and resonant. Laurel, thanks for reading. One way to think about this is to examine your own favorite stories. See what speaks to you in them. Notice how difficult it is to say with certainty all the author is conveying. 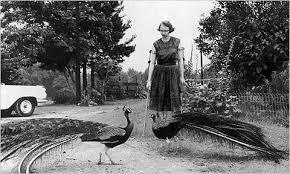 Meaning resists paraphrasing, as Flannery O’Connor tells us. It takes the whole story to say what the story is about. But that doesn’t mean you can’t identify some of the themes. One of my favorite stories is “Order of the Arrow” by Steven Rinehart. While it’s impossible to reduce that beautiful story to one theme, I do think it’s fair to say that, at least in my mind, part of what Rinehart is getting at is what it means to be a “real” man. Someone else may think what he’s mostly conveying is what it means to be the outcast in a group. In this way, meaning is really a collaborative exchange between the writer and reader. Thanks for writing~ I have not read the Steven Rinehart story. I will now. I love your ‘collaborative exchange’ concept. This is what gets to the heart of our stories, and why we write…now, to hone that balance between creating something that readers actually love reading, while being meaningful in a way that is not trite or condescending. (Need to break out the Foucault, and more…) Too many books, too little time! Keep up the great work. Here’s a link to Rinehart’s story online. Hope you enjoy it as much as I do.